This is it. 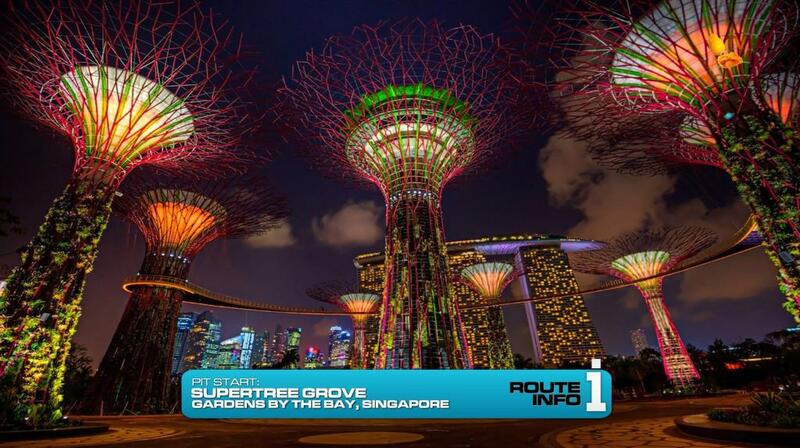 It is early evening in Singapore and teams open their first clue of the Final Leg at the Supertree Grove at Gardens by the Bay. They’re heading home! 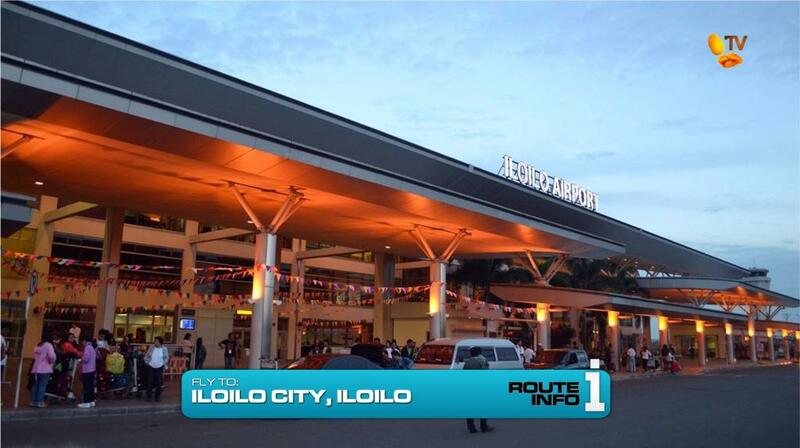 Teams must fly from Singapore to Iloilo City. 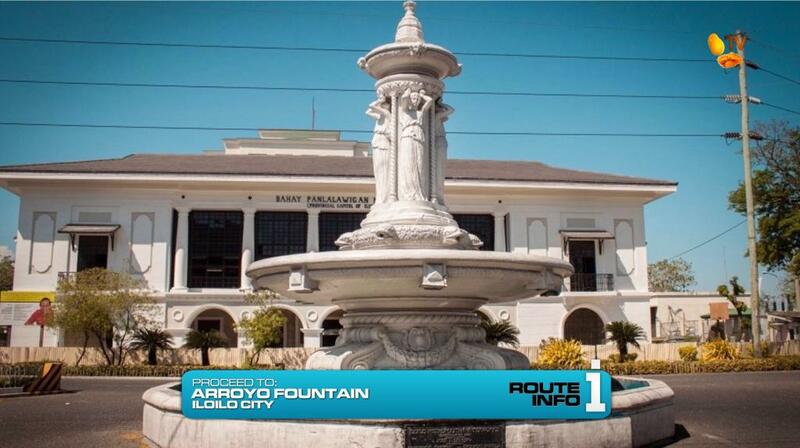 Teams will arrive at 6am on Cebu Pacific and once in Iloilo, they must find Kilometer Zero, the point for measuring distances in Iloilo province at the Arroyo Fountain. 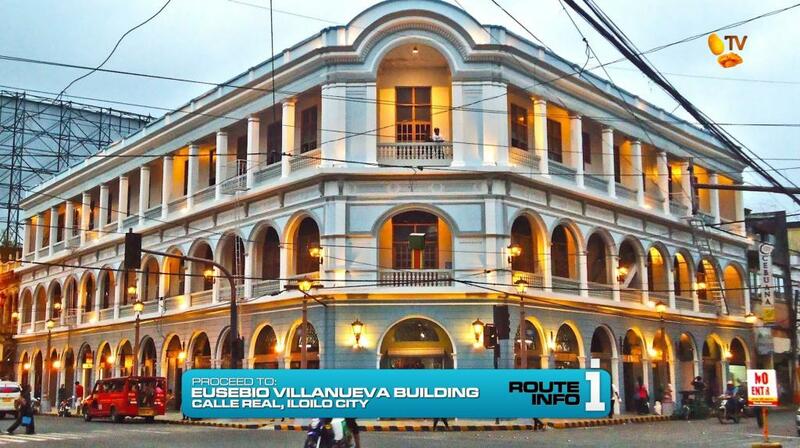 The clue they find there points them to the Eusebio Villanueva Building in the historic center of Iloilo, Calle Real. Teams must look up to see the cluebox is the on the balcony of the building. That next clue tells teams to find Nicholas Loney to receive their next clue. 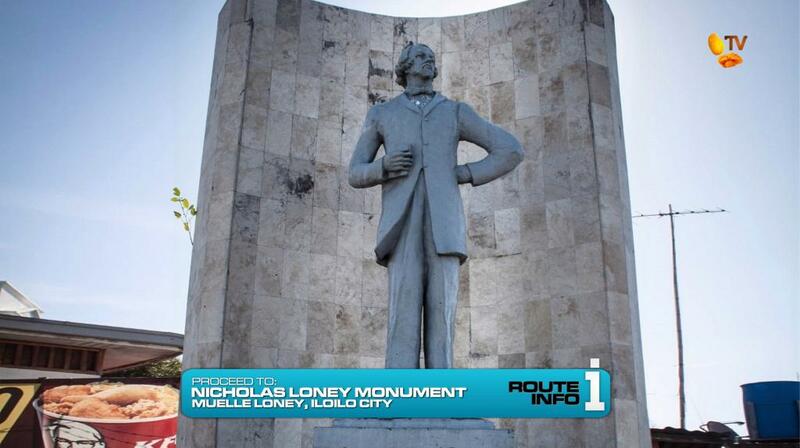 Teams must figure out that the cluebox can be found at the statue of Nicholas Loney, considered the father of the Philippine sugar industry, along the Iloilo River Wharf also known as Muelle Loney. 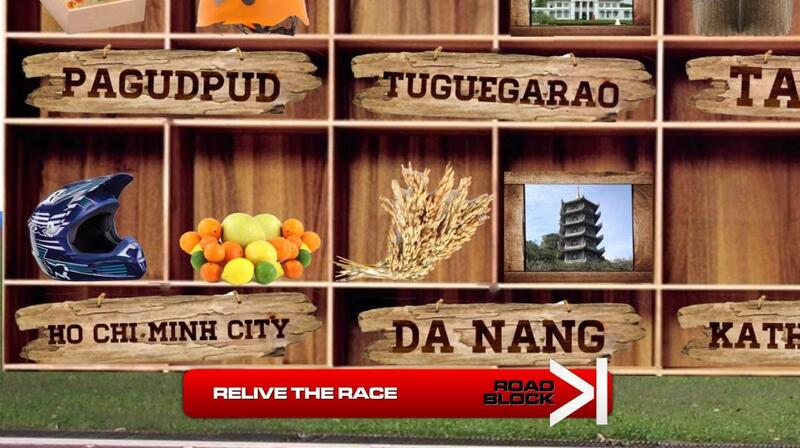 At the statue, teams will find their next clue, first telling them to take two sugar canes from the basket next to the cluebox which they must keep with them until told otherwise. 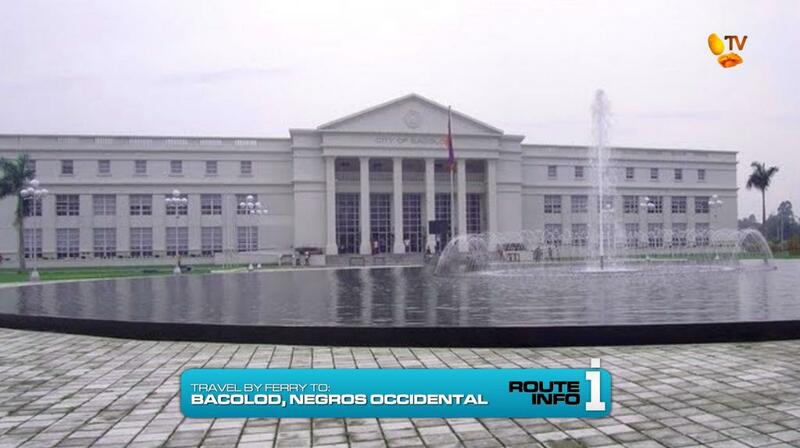 They will then go to the Aboitiz Supercat Ferry by 2GO Travel Terminal to catch a 10:30am ferry to Bacolod City. 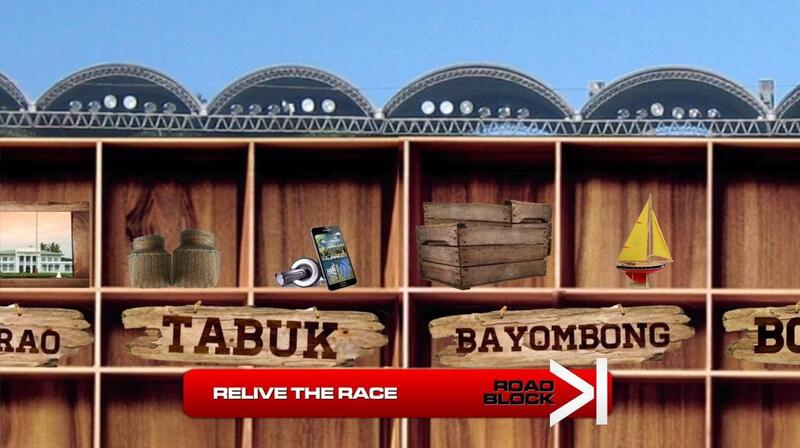 They will find the next cluebox outside the Bacolod ferry terminal. 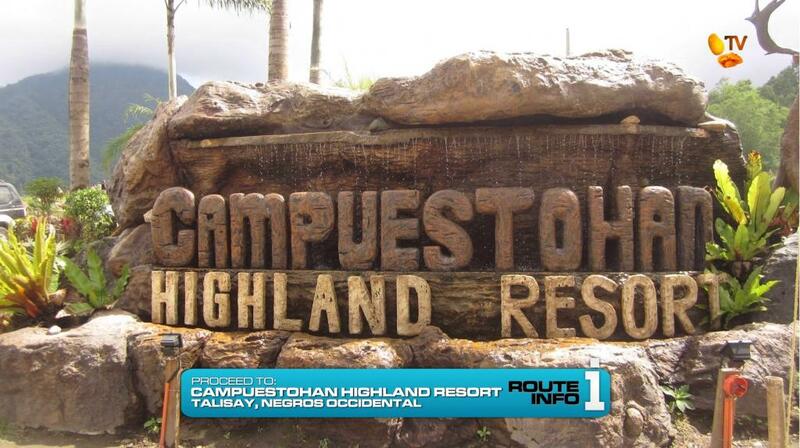 And that clue directs teams to head to the Campuestohan Highland Resort on the border of Bacolod and Talisay Cities. 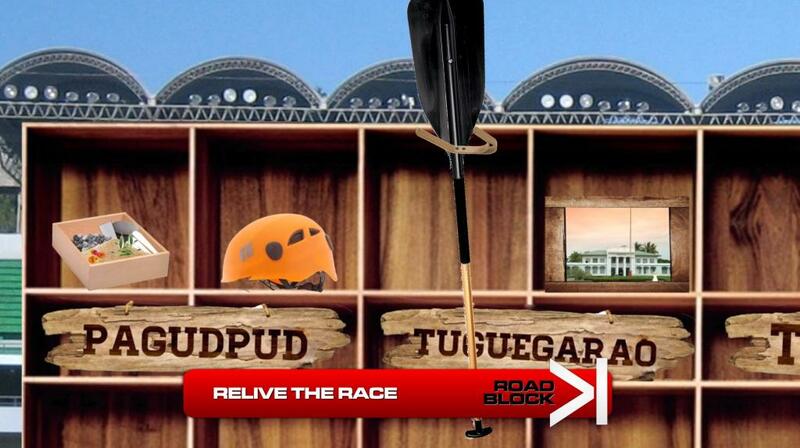 At the Resort, teams will find a Road Block. 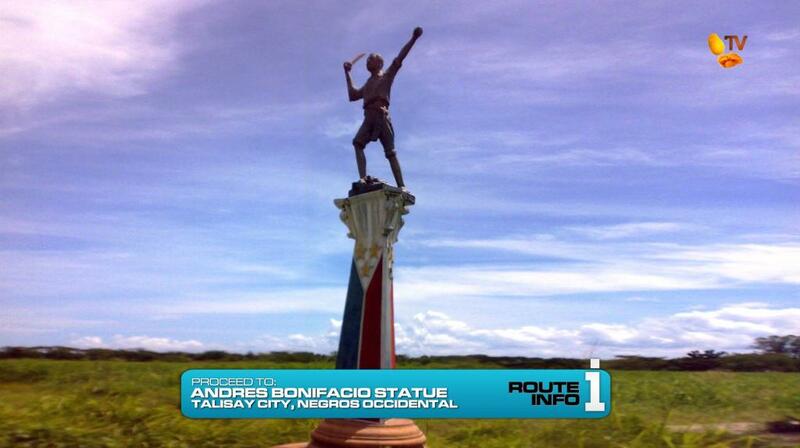 Or, the Andres Bonifacio Statue in Talisay City. 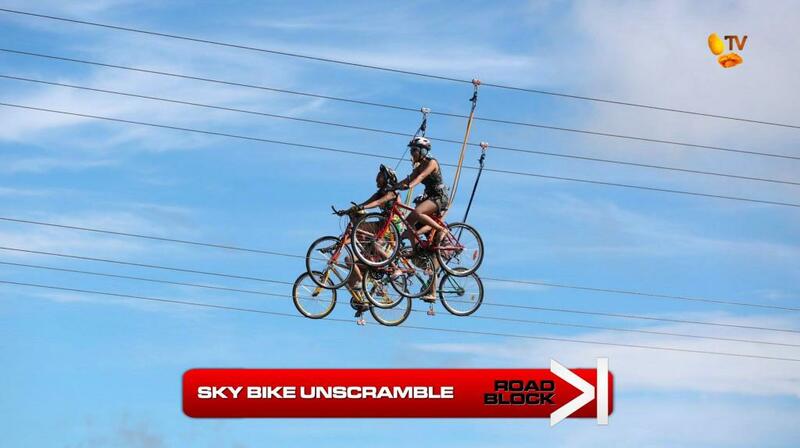 There are four lines, so all three teams can be up on the bikes at the same time. But teams can stay stationary for only 30 seconds during their entire time in the air. If teams make an incorrect guess, they must head back up onto the bikes and ride across before they can make another guess. 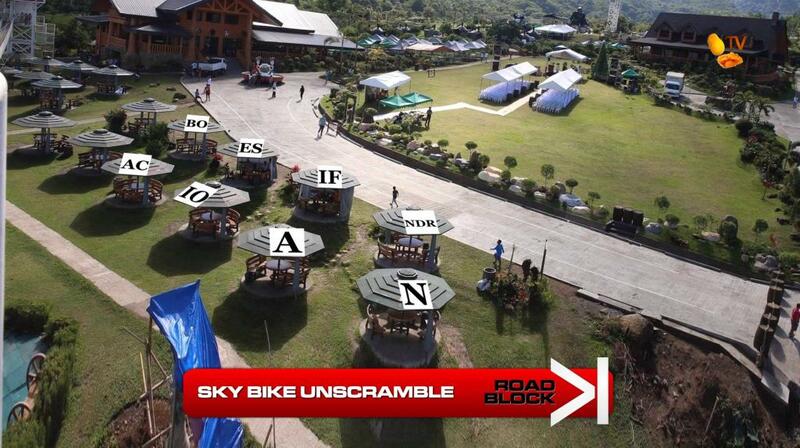 If teams give the incorrect answer 5 times, they will receive a clue that there are two words to unscramble. If teams fail more than 20 times, they will receive a clue that the unscrambled solution is a name. 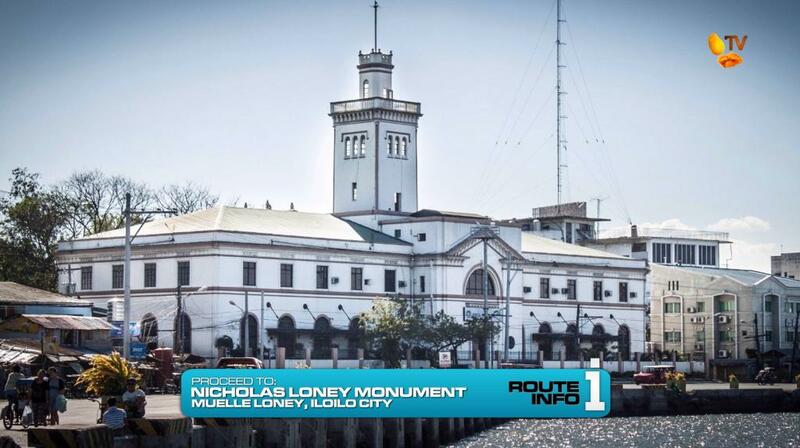 Once teams have given the correct answer, they head to the Andres Bonifacio Statue. 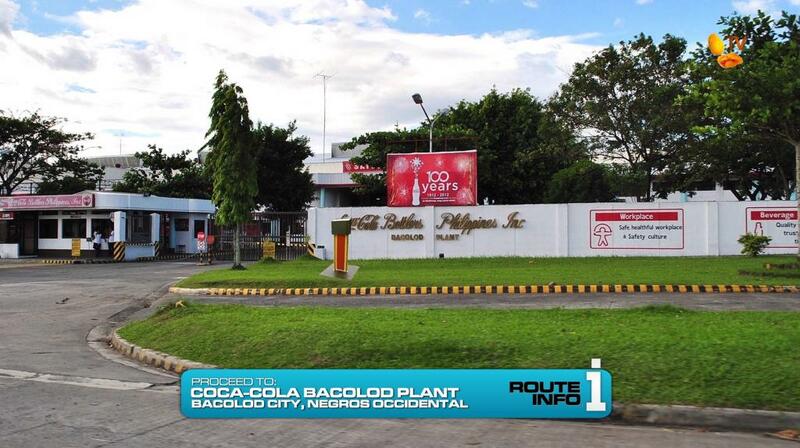 The next clue points teams to the cluebox outside the Coca-Cola Bottlers Bacolod Plant. 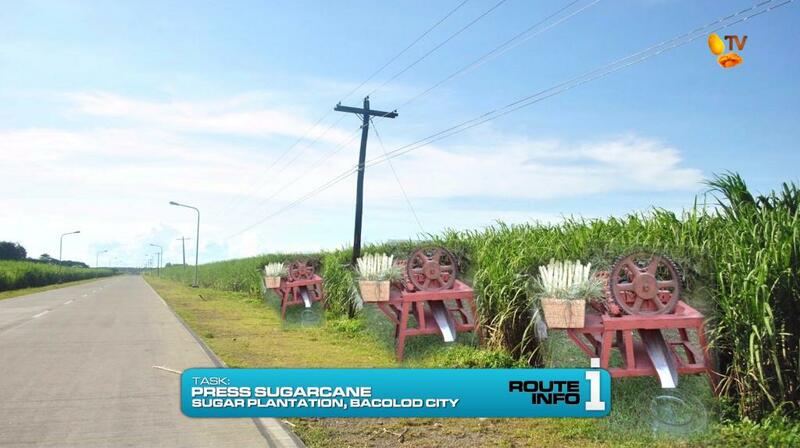 Negros Occidental produces half of the country’s annual sugar output and Bacolod is affectionately called the “Sugar City.” For this task, teams must head to the sugar plantation next to the plant and press sugarcane (including the two they have brought with them) using a vintage press to collect enough juice to fill two small glasses. After each team member drinks a glass, they will receive the next clue. 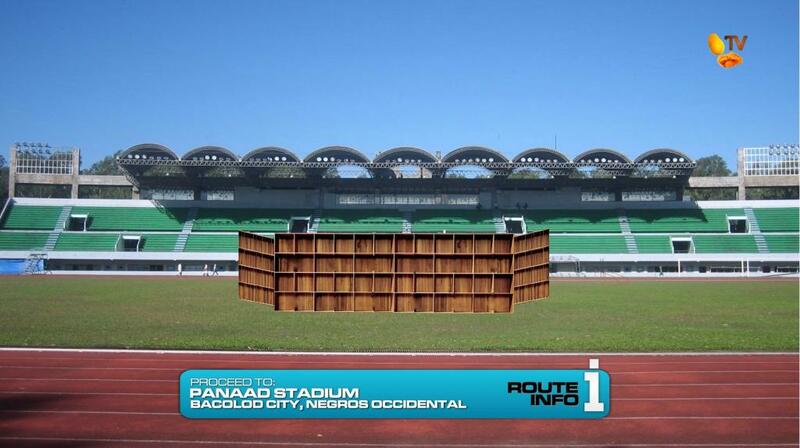 Teams must now make their way to Panaad Stadium. And there, they find the Final Road Block. 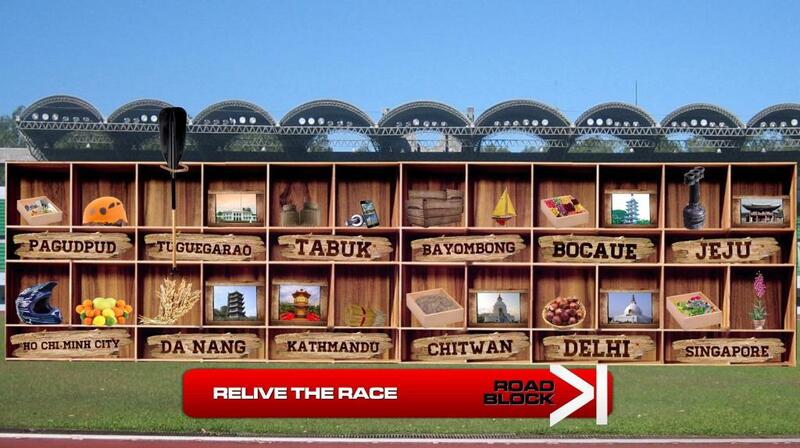 For this Road Block, teams will relive their previous 12 Legs on the Race. First, teams must place the locations of each of the 12 Pit Stops in order onto the 2nd and 4th rows of the structure beginning with the first Leg and ending with the 12th Leg. 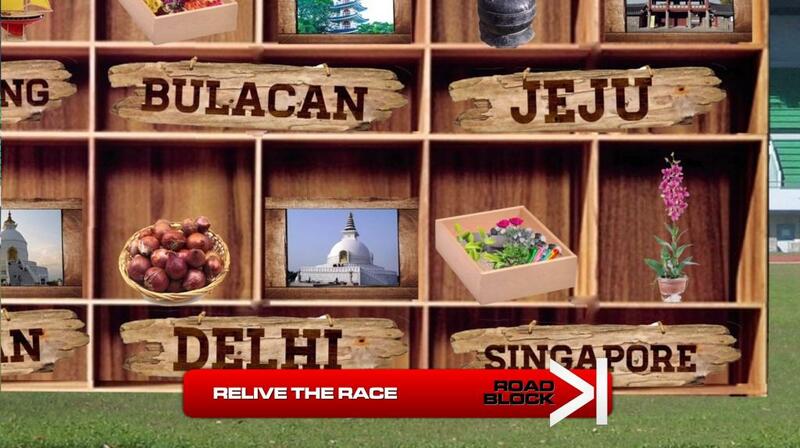 Then, teams must sort through 24 provided items, each representing tasks, Detours, Road Blocks or locations from the Race. They will place those items onto the shelves corresponding to the Leg each item or location was seen on. Each Leg will have two items. 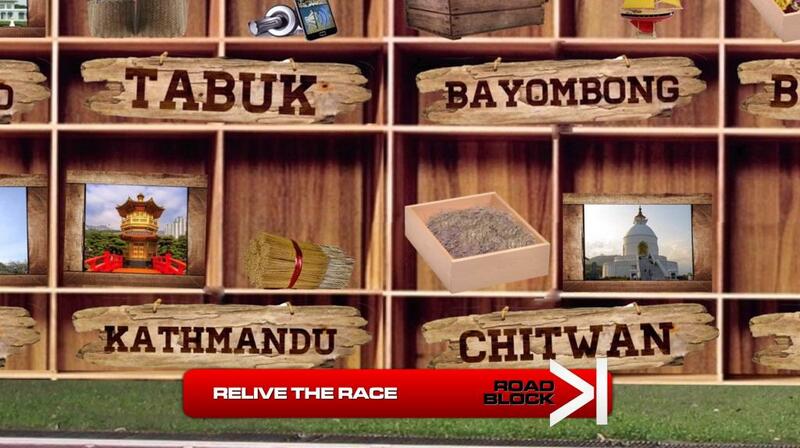 For Detour tasks, all items were present at the cluebox regardless of which Detour was chosen, while non-participating team members were able to watch all Road Blocks being completed by their teammate. Some items look similar while other items were seen on more than one Leg, but there is only one correct solution. 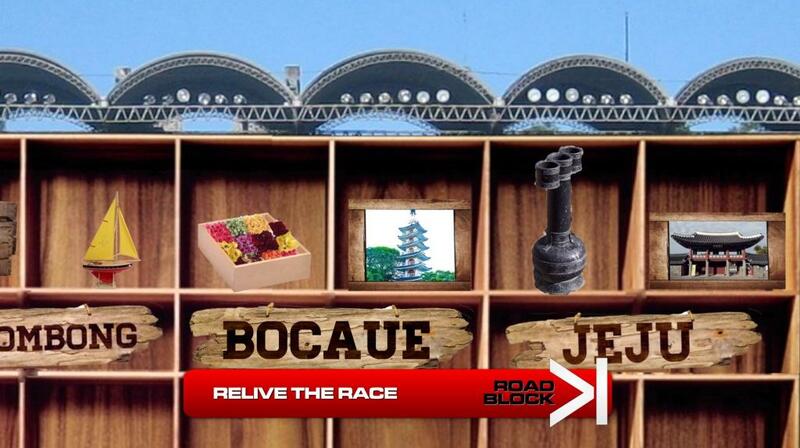 Once teams have correctly placed all items and locations into the structure, a cluebox will automatically open to reveal their next, and final, clue. 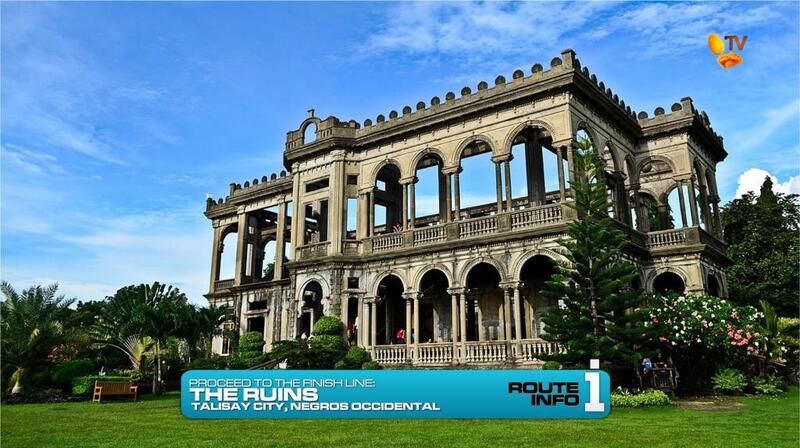 Teams can now make their way to the Finish Line, The Ruins in Talisay City, Negros Occidental. 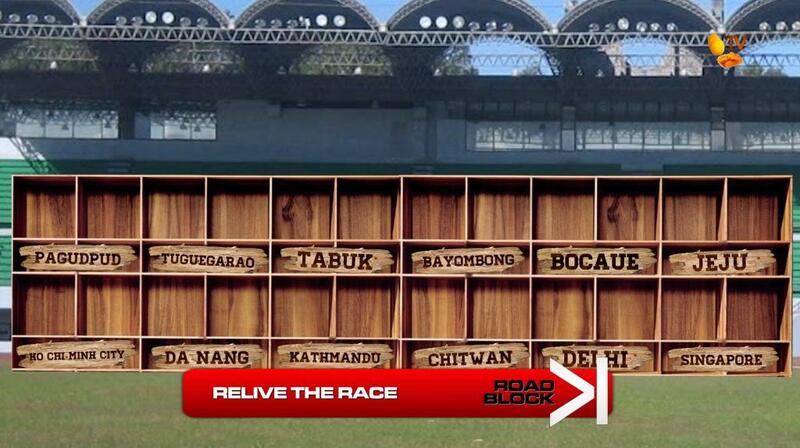 After more than 18,000 kilometers, more than 20 cities and 7 countries, the first team to cross the Finish Line will win P2 million (or P4 million if they have the Double Your Money award), two fully furnished brand new homes (and lots) from RCD Royale Homes (each valued at P2.5 million! ), two brand new Toyota Fortuners (each worth P1.7 million! ), a year’s worth of Coca-Cola, a year’s worth of Jollibee, two brand new Samsung Galaxy Tabs and a year’s worth of unlimited data from Smart! Biggest prize ever given on Philippine television!